By Stephanie Canestraro, BSC, (HON), D.C., AP. Plantar fasciitis involves pain and inflammation at the insertion of the plantar fascia – a fibrous band of tissue that runs across the bottom of your foot connecting your heel bone to your toes. With weight bearing, your arch stretches causing tension on the plantar fascia, when your toes are pointed or in a non-weight bearing position the plantar fascia is shortened taking tension off the insertion. Injury is usually the result of an accumulation of microscopic tears (at the cellular level) over a period of time that causes the fascia to become irritated and inflamed. However, with prolonged irritation the plantar fascia undergoes histological changes and indicates that the plantar fasciitis is actually undergoing non-inflammatory structural degeneration rather than an inflammatory process and is then deemed plantar fasciosis. Plantar fasciitis/fasciosis is one of the most common causes of heel pain. Pain is sharp and stabbing, and worse as you step down in the morning. With activity, the pain normally decreases, but can return after long periods of standing or after getting up from a seated position. Plantar fasciitis is particularly common in runners, but is also common in people with tight calf muscles, those that are overweight, improper foot or ankle mechanics (i.e excessive pronation), or due to tight hamstrings or old hamstring injuries. If you are experiencing symptoms of plantar fasciitis, early treatment has the best prognosis, otherwise cases become chronic and can last months to years. If you have suffered or know someone who has suffered with plantar fasciitis then you know that it can be stubborn or symptoms can subside simply with a proper orthotic. There are other causes of heel pain that are often misdiagnosed as plantar fasciitis and as a result you should consult your nearest FIT practitioner to obtain the proper diagnosis and care for your injury. So what can a FIT practitioner offer you? A combined treatment approach utilizing advanced needling (acupuncture) techniques that help reintroduce blood flow and promote healing in the area, Active Release Therapy, Shockwave therapy, taping techniques, fascial abrasion therapy in addition to stretches and exercises to accelerate the healing process and prevent recurrence. In addition to gait analysis the proper orthotic and fixing improper mechanics up the posterior chain. Here are a few examples of what you can do at home to help treat and prevent plantar fasciitis. 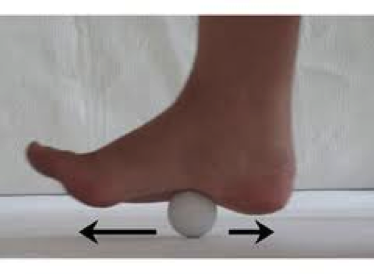 Roll a golf or tennis ball back and forth along the length of the plantar fascia concentrating on the heel. Night splints to keep the plantar fascia lengthened and prevent formation of scar tissue in the shortened position as you sleep. 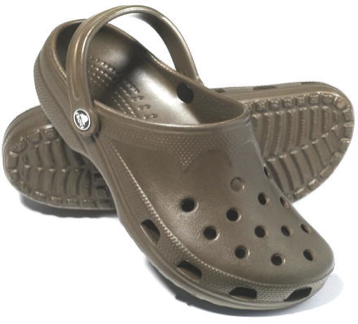 Wear crocs around the house to prevent pounding on the heel, especially if your house is not carpeted. In addition to stretching the foot calf muscles and hamstrings! Don’t let plantar fasciitis/fasciosis or any other injury get in the way of your healthy lifestyle, it’s time to get FITTM!